The Utopia Neck Travel Pillow from Bucky provides cozy and relaxing support that molds instantly to body contours due to its buckwheat hull fill. No matter if you are travelling, or are relaxing at home it makes the perfect companion. 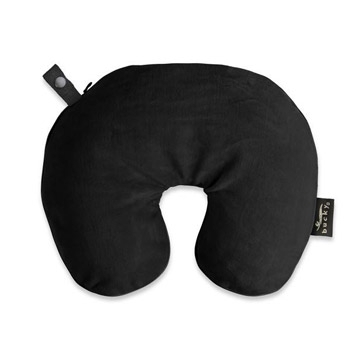 Ideal for travelers and at-home relaxers alike, this buckwheat travel pillow conforms to your every curve to provide optimal neck support and a better quality of sleep that leaves your body feeling cozy and rested. All Bucky buckwheat filling is fragrance-free, hypoallergenic, and produced without the use of fertilizers or pesticides.